We have moved to our new location in Thompson's Station, TN. We are available by appointment only, so please call or e-mail for more info. The Guitar Services Workshop was created to service manufacturers, retailers and consumers by providing them with products, services and training in the lutherie arts. Our mission statement is: "Training the next generation of guitar techs and luthiers". We specialize in vintage guitar restoration, repair and repair training. As an authorized service center for the Martin Guitar Co. and Taylor Guitars, we provide high quality repair and restoration with the goal of improving the value and playability of your guitar. Beginning his guitar repair career in 1985, John LeVan studied under many different guitar repairmen to learn the trade. John decided to launch into the guitar repair business professionally and began training with various manufacturers such as Taylor Guitars and Tom Anderson Guitarworks. He started a guitar repair business in Auburn, California, and later moved it to Music Row and is now in Thompson's Station, Tennessee, where John has a successful business today. 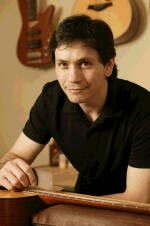 In 1997, John launched www.guitarservices.com and the Guitar Services Workshops. These workshops provide on-hands personal training for various types of guitar repair. The workshops are provided mainly for guitar technicians who tour with professional artists, retail guitar store employees, distribution warehouse guitar technicians and guitar manufacturing employees. John has authored several books and DVDs on guitar care, setup and repair, published by Mel Bay Publishers. His latest book, Guitar Setup, Maintenance & Repair, is a best seller. You can also read his many articles in Acoustic Guitar Magazine, Guitar Sessions Magazine as well as his column on premierguitar.com. John has been featured in many instructional films for the D’addario string company. These free videos demonstrate the proper tecniques to clean, restring & maintain your guitar. You can check them out at d'addario.com.